Couldn't have asked for a better person to help buy my new truck. Tom recognized my needs and wants and directed me to the truck i have today. An overall seamless and excellent buying experience. I originally went to Orangeville Nissan regarding an online ad for a used car but unfortunately it had been sold before I arrived. However, I did not leave disappointed because after my sales person and the sales manager understood my budget and which features were important to me, a new model with custom upgraded features fit the bill. They and the financial manager stayed late to ensure my needs were met and I did not feel rushed or pressured with my new purchase. I'm elated with my new car and could not have been happier with the team that helped me at Orangeville Nissan. "New Murano from Orangeville Nissan"
I have been searching for a new Vehicle for some time , but was put off by the other dealerships due to their lack of understanding of what my needs were in a vehicle. Stepping into Orangeville Nissan and meeting Tom Moore was a pleasure to deal with . He was very attentive and listened to what I was looking for in a new vehicle and introduced my wife and I to the Nissan Murano. My wife and I spent the entire afternoon with Tom showing us all the options of the vehicle and of course the test drive. 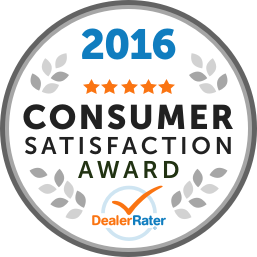 We can only say that Tom's customer service and professionalism cannot be beat anywhere! We highly recommend you and your friends to go to Orangeville Nissan and have Tom Moore take care of your car needs! A very big thank you to Tom and the rest of the friendly and customer focused team at Orangeville Nissan.! 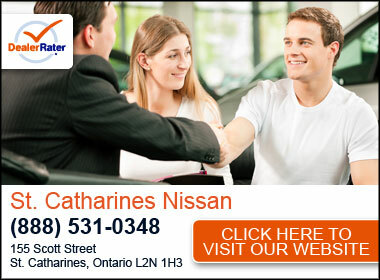 I found the service at Orangeville Nissan to be both professional and friendly. Our Sales associate Tom Moore was knowledgeable, and took the time to ask pertinent questions to better understand my vehicle needs. Tom took the time to show me a variety of vehicles that suited my needs and his approach was refreshing as I did not feel that I was being "pressured" simply so he could "make the sale". I found the staff to be friendly and the environment was warm and welcoming, and I would highly recommend Orangeville Nissan to anyone in need of a new or used vehicle. "My Second Purchase at Orangeville Nissan"
Today I picked up my new 2018 Titan Platinum Reserve and I couldn't be happier with the vehicle or the purchasing experience. I was given a fair trade-in value for my Toyota Tacoma and the Titan was well-priced, thanks to some incentives from Nissan Canada. The Titan was ready when promised and was spotless inside and out. Last year, around this time, I purchased a 2018 Pathfinder Platinum. I have been enjoying this vehicle so much that I decided to take a look at the Titan - I'm done with Ford and GM and am reluctant to take on a Ram, so the Titan seemed worth a look. Time will tell if I've made the right choice, but I'm quite pleased right now. Tom Moore and Ness Bratic were great to deal with and Lori helped to guide me through all of the finishing details of the purchase process. Tom Moore, Ness Bratic, Lori Collins-Clarke. We went to the dealership to look at a midnight edition frontier truck which was listed as available online. When we arrived, the truck wasn't there and apparently never was. We then looked at a used frontier and we bought it as a certified pre-owned vehicle with warranty and assumed that it was in good condition and had been looked over by a professional. Later, when problems arose, I took it back because these problems should have not been there as it was certified pre-owned. When I asked for the paperwork (for the CPO program) that I was promised when purchased, I was sent to the sales manager who then told me I wasn't allowed to see the paperwork and that it was confidential. He then told me if I wanted the truck looked at, then I would have to make a service appointment which would be charged at full price even though it was supposed to be under warranty. They made it seem like they were not at fault or responsible and pushed the blame on me. I would recommend to avoid this dealership at all costs. Thank you to Andrew McBride at Orangeville Nissan for providing me with the best customer service I could have asked for when shopping for my 2019 ROGUE. We played no games, and got the deal done in record time. I felt no pressure in what vehicle I purchased, or the bells and whistles that could have been added. I knew what "toys" I wanted, and you didn't steer me wrong!. It was my first Nissan experience, and it won't be my last! Thanks Andrew for the great service, and for keeping the kids smiling. From the time I stepped through the door I was met by Andrew Mcbride who was very accommodating while I waited for Tom Moore. Who I was dealing with. Very professional and so down to earth. Made me feel very at ease I would recommend Tom. Very easy to talk to. Had a few hiccups with one of the sales manager. But it got straightened out. All in all was happy with Tom and my rouge. Thxs again Tom. We had concerns with their sales & leasing consultant and their sales manager. When we went to see their general manager, the general manager did not come out of his office nor let us in his office to speak to us. THIS IS OUR RESPONSE TO THE EMAIL WE REVEIVED FROM THE GENERAL MANAGER OF ORANGEVILLE NISSAN: Hi Mark, Thank you for your really long, “civil” email. I am just simply amazed on how you deal with customer concerns. You said and I quote: “Remove all postings/reviews immediately, or ensure that they are edited to accurately reflect what has transpired. You have misrepresented the facts and presented what has taken place in a manner which amounts to defamation. You are not entitled to weaponize the internet or social media by using untruthful accusations which are designed to harm the reputation of Orangeville Nissan.” For your information, we never thought of giving a review about Orangeville Nissan, but Orangeville Nissan asked us to leave a review. In the first place, I believe, if only you have talked to us (even for 5 minutes or less) when we went to your dealership with the main intention of talking to you, then this review shouldn’t have happened. Why do you have to make this so complicated and difficult to understand? Orangeville Nissan emailed us links to post reviews, and when we posted our reviews, you email and I quote again: “Your attacks are malicious and not motivated by any legitimate business concerns or appropriate commentary.” We are not attacking, we were just asked by Orangeville Nissan to post our review (or what you might want to describe as “accurately reflect what has transpired”). To put it simply: If you want positive review, then give your customers positive experience. Remember too that we made the most civil way to resolve this matter by personally coming to your office to speak with you; but you made no attempt at all to come out of your office or let us in your office to listen to us. You also claim that we used “untruthful accusations” on our review. Based on this, (and just to be clear): Are you saying that Tom and Jason are not helpful and that they provide bad customer service? And, Ryan and Nes did not trick us with our purchase? Just reply and say, “Yes”. Once you reply with a “Yes”, then we will gladly edit our review. You also claim that we have an attempt and I quote again: “an attempt to obtain something outside the four corners of the deal that you contracted with Orangeville Nissan.” Our question is: Did you know how the contract came to be from our side also, not just from your witnesses’ side? We assume one of your witness is Nes, is he the one reviewed by another customer as someone who “is completely unprofessional, twist his words and unethical”? Even if you read our letter to Nissan Canada, we never attempted to claim something. We just feel very bad for Nissan in general as you continue to defame and take away any more remaining love we have for Nissan. Thanks for reading.